The healthiest, most wholesome foods you can eat are made of all-natural ingredients. This excludes a lot of processed or partially processed foods. Eliminating processed foods from your diet can be challenging so we wanted to offer a few tips and suggestions that can make this a little bit easier! Prepare enough dried rice and beans for a whole week all at one time and freeze daily portions. Thaw and reheat as needed. Make twice as many servings as needed for dinner and pack leftovers for the following day’s lunch. Use your crock pot- Throw food and seasoning into a crockpot in the morning, turn it on and come home to a fresh cooked, delicious meal- no (actual) cooking necessary! Check the ingredients on your bread. Shiloh Farms breads are made of grains, water, flour, gluten, molasses, sea salt, yeast, malt and vinegar. If your bread has more ingredients than this, you might want to consider buying bread from a different maker, a bakery or just baking bread yourself. And remember: bread freezes and thaws very well, so if you make or buy bread in bulk, it is easy to save for later. 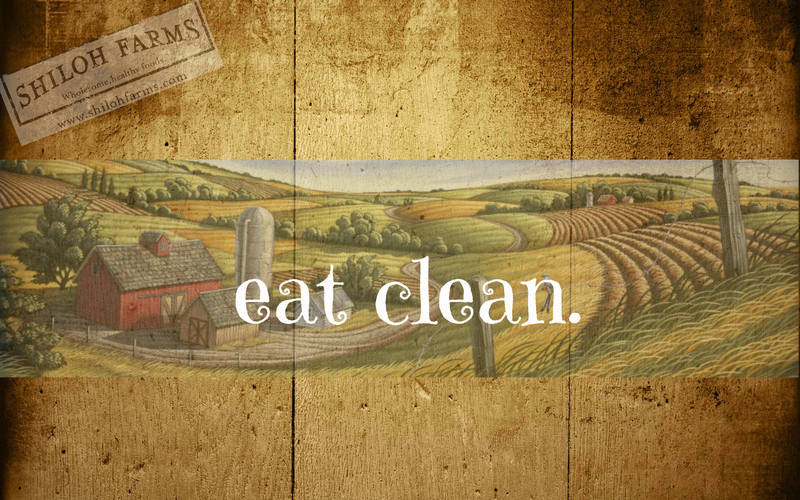 What are some of your favorite tips for keeping your meals as healthy and wholesome as possible? Please share in our comment section! When at the grocery store, I only go to the outer aisles (produce, meat/canned goods, and dairy). That way I avoid all the overly-processed middle aisles! Also I plan my meals out at the beginning of the week, that way I am not scrambling for a meal one day and I can avoid grabbing something processed.